Today’s post comes to us from the folks at Oliver. Oliver is a great new service that gives you access to no-fee apartment listings directly from landlords and property management companies. As the guys at Oliver are seasoned experts in finding apartments, we asked them for their best tips to share with our customers. We hope you enjoy! And be sure to check out Oliver today at getoliver.com. When it comes to apartment tips, we’ve literally heard them all. We’ve tried our best to put together a list of the ten most important ones to keep in mind when searching for an NYC apartment. We hope it’s helpful. First-time apartment seekers especially, remain seated and pay close attention! 1. Get the timing right: You’ll want to start your search no later than 30 days before your move-in date. If you start too early, a landlord may not hold the apartment you want until you’re ready to move. Also, your current landlord may not be too keen to let you out of your current lease early. If you start your search too late, you may end up somewhere less than ideal before your current lease expires. Bonus tip: The average renter visits 6.1 units before finding their next apartment. 2. Scope out the neighborhoods: It’s important to walk through your target neighborhoods during both day and night. Neighborhoods like the East Village are pretty chill during the day but can get rowdy at night. Conversely, the Financial District is loaded with tourists and bankers during the day, but can feel like a creepy scene from The Dark Knight after hours. There are also some deceptively tricky commutes in the city, especially for those going crosstown (East to West/West to East) in Manhattan. 3. Beware the broker fee: Much like car shopping, the devil can be in the details. A whopping broker fee can turn what looks like a great deal into a major cash drain. Some people say broker fees are standard in New York, but we respectfully disagree. Oliver allows users to discover apartments, schedule showings, and apply for apartments, all from one easy-to-use app. No brokers and no broker fees with Oliver. 4. Check for the big 3–Gym, Groceries, Laundry: Even though on-demand is becoming more and more en vogue (Oliver, for instance is an on-demand solution), you’ll want to be sure you’ve got good dependable options for those stores and services you’ll be using most often. Bonus points if they’re open 24 hours. 5. Stay Flexible: You may not end up with every single amenity on your list, so keep in mind that a great apartment is hard to find. The perfect apartment, on the other hand, is something not even Oliver can guarantee. Prioritize what’s most important to you, make sure you understand what’s a deal-breaker and what’s a nice-to-have, then search, find, and sign accordingly. 6. Use the force: There are some great technology options out there to speed up the process and turn you into an apartment ninja (Oliver being our totally biased personal fave), so use them. Put Snapchat down, mute your notifications, and focus. Making technology work for you can do wonders for your bank account and quality of life. “Pre-war” – brick and stone construction dating back to the late 19th and early 20th century. Classic New York. “Walk-up” – a multi-floor townhome-like building with one or multiple apartments on each floor. No elevators here, so you’ll usually need to “walk up” to your apartment. “Railroad” – found mostly in older tenement-style buildings, is named for its straight floor plan. For the most part, the front door opens directly into the apartment, there is no hallway, and one room leads into another. “Up-and-coming” – this term is used to define a neighborhood that is still a little rough around the edges. The good news is these up-and-comers are usually nestled up next to great neighborhoods. 8. Be ready to sign: You will want to be ready to sign before you start looking. That means income verification, cosigners, credit scores, and cash in the bank. Landlords typically require first month, last month, and security deposit so you’ll want to be sure your finances are in order. While unlikely, the sun may shine on you just so that you fall in love with the first apartment you see. Apartments in NYC come off the market super quickly so make sure you’re ready to strike while the iron’s hot. 9. Background check your landlord: This one is probably one of the most overlooked to-dos while apartment hunting. 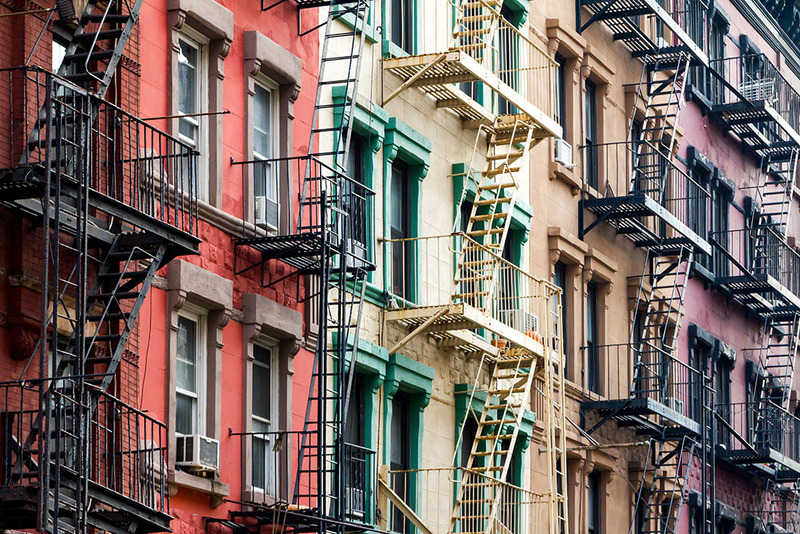 A quick chat with future neighbors could help you steer clear of a difficult landlord. 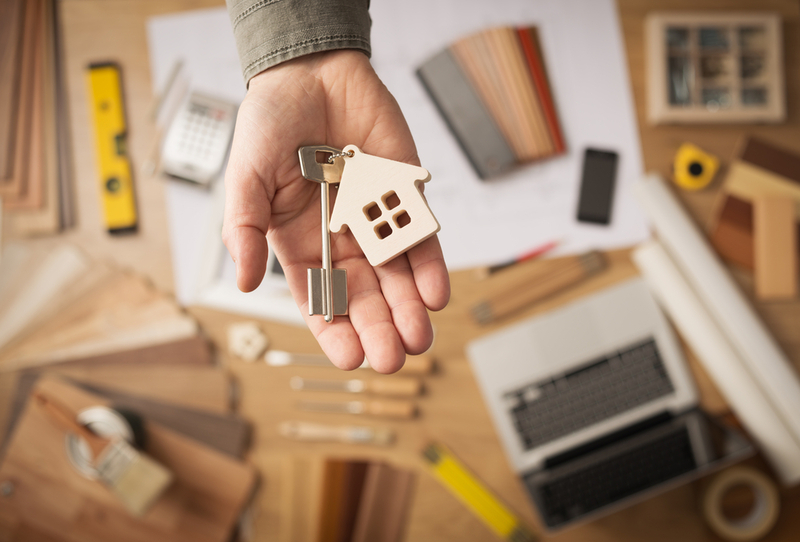 A great landlord is like a great business partner – someone who will follow through on their end of the bargain, be accommodating, fix what needs fixing, and remain for the most part behind-the-scenes. 10. Once you sign, have backup plans: If you’ve got pets, do lots of traveling, or have been known to lose your keys, make sure you have backup plans in place. Services like KeyMe will have you covered by letting you save your keys to the cloud if you ever get locked out, or let you share them with a neighbor if something goes down while you are away Depending on your neighborhood, there are great house-sitting and pet-sitting options available as long as you provide just a little bit of notice. Hopefully now you’re prepared to take on the market, and land somewhere amazing. By the way, if all of this sounds like way too much work, download Oliver and he’ll make your life only a gajillion times easier.